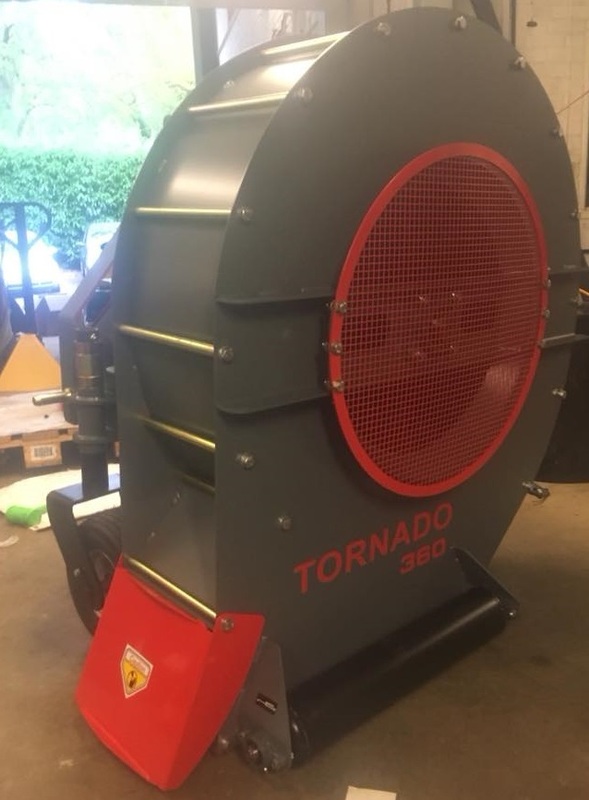 Tornado Blowers tractor mounted debris blowers available in 3 models to suit tractors from 18hp to 90hp. Vertical Adjustment 1to 5inches above ground level. Groundmech's Tornado three point hitch blower offers you the best choice when it comes to blowing leaves, litter, standing water and debris off sports grounds, fields, artificial turf, golf courses, urban and private greens aswell as other areas. The impellor is statically and dynamically balanced to ensure a smooth and vibration free operation. The wide castor wheels and the anti scalp roller provides a smooth following of the land contours without damaging the turf. Discharge height 2.35mtr. Length 4.7mtr Height 2.42 mtr Width 1.9mtr. Tractor Req from 35hp external hyd flow min 25ltrs min.